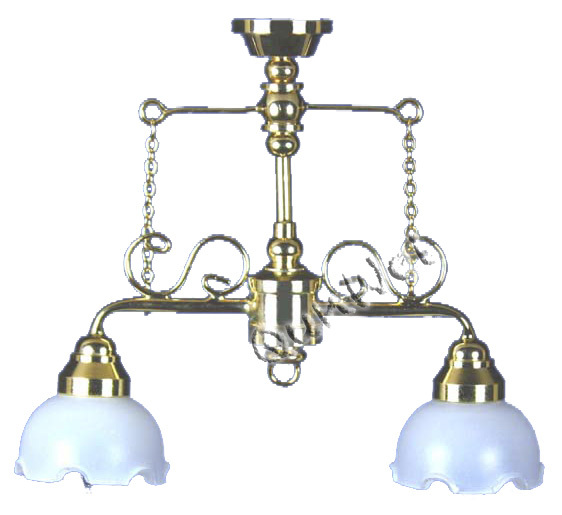 This is 2-arm ornate chandelier with white shades, it is special lamp in the Dollhouse Lighting wholesale, we are the professional company to produce dollhouse chanderlier wholesale, Dollhouse Miniature lighting is really popuplar in the dollhouse lamp wholesale, most of the customers would like to buy doll house Miniature Lighting to decorat their dollhouse, it is really amazing and nice. Looking for ideal Dollhouse Lamp Wholesale Manufacturer & supplier ? We have a wide selection at great prices to help you get creative. All the Dollhouse Chandelier Wholesale are quality guaranteed. We are China Origin Factory of Doll House Miniature Lighting. If you have any question, please feel free to contact us.